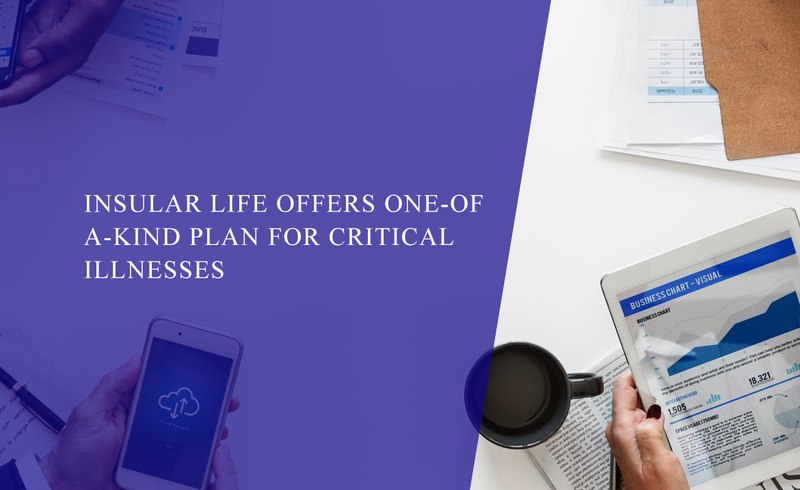 Insular Life, the first and largest Filipino-owned insurance company, has introduced a new, stand-alone yearly renewable term plan that provides a monthly allowance for three years from the time a critical illness is diagnosed. There are 35 critical illnesses covered under this plan. “Prime Care is the first insurance product in the Philippines that offers someone suffering from a critical illness a monthly allowance for three years. That lessens the burden his family has to carry, as he seeks treatment and recovery,” said Insular Life’s Chief Marketing Executive Amelita F. Tamayo. Prime Care offers a lump sum amount upon diagnosis of a critical illness, and a monthly allowance for treatment. “The lump sum benefit given after diagnosis can cover for immediate financial needs like laboratory and diagnostic procedures while the monthly allowance can cover expenses for other treatments and medication. In addition, the insured is entitled to receive a lump sum benefit equal to thirty-six (36) monthly allowances in case he becomes totally and permanently disabled due to the diagnosed critical illness,“ explained Tamayo. Prime Care also gives access to the world’s top doctors for second opinion advice, allowing the insured to get the correct diagnosis, medication, and treatment for his illness. “Should the insured want to seek for second opinion, he has access to leading medical experts worldwide through Best DoctorsTM . By being in touch with them, our insured can get a better understanding of whatever health or medical condition he may have and be presented with various options for treatment”, said Tamayo. Prime Care is available via a simple, three-step application process through Insular Life’s e-commerce platform online.insularlife.com.ph. “There’s no need to fill-up a lot of paper forms. Just choose your desired plan, based on the monthly allowance you wish to receive, completely fill-out and submit the application form, and pay your premiums through Insular Life’s online platform,” said Tamayo.